Foodies love dining out in Palo Alto… and for good reason. The popular San Francisco Bay Area community is jam-packed with eclectic restaurants, fun coffee houses and hot bars. 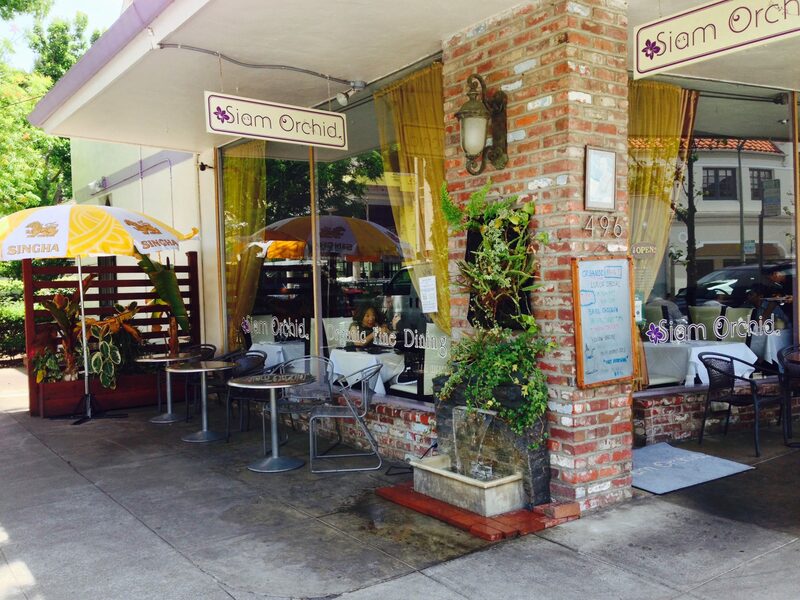 If your tastes include healthy traditional Thai food, head over to Siam Orchid – most of their ingredients are from local organic distributors. The small, light and airy Thai fusion restaurant is located on Hamilton Avenue (at the corner of Cowper), just off University Avenue. This entry was posted in Food / Restaurants, Fun Things to Do, San Francisco Bay Area and tagged chilean sea bass, organic, organic thai, palo alto, pumpkin curry, siam orchid, thai, thai fusion, thai restaurant on June 4, 2015 by Alana.